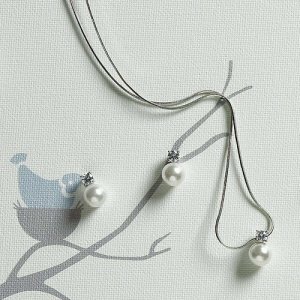 Classic and simple, yet truly elegant, this necklace and earrings feature a single synthetic pearl design with a single crystal sitting atop the pearl. Necklace adjusts from 16 - 18" and the earrings are for pierced ears only. 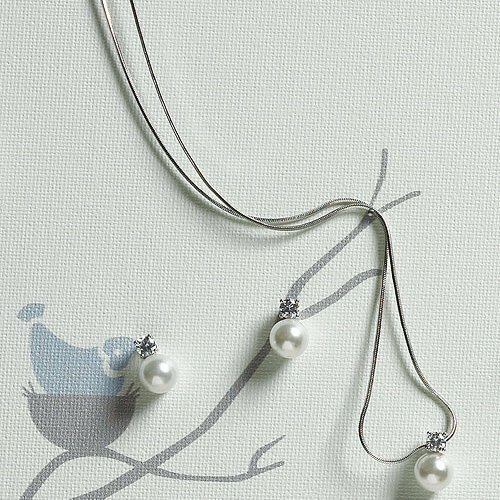 The necklace and earrings are extremely versatile and look great dressed up or with a simple pair of jeans which means it will be used again and again long after the big day. NOTE: Necklace and Earrings are sold separately.